Dancer 1 : Angela Alessio’s passions lie in dance, music, entertainment and performance arts. She has been involved with professional event coordination/ production, and dance troupe management from a young age. Her involvement with transformational festivals and live performance/ theater extends throughout the United States. 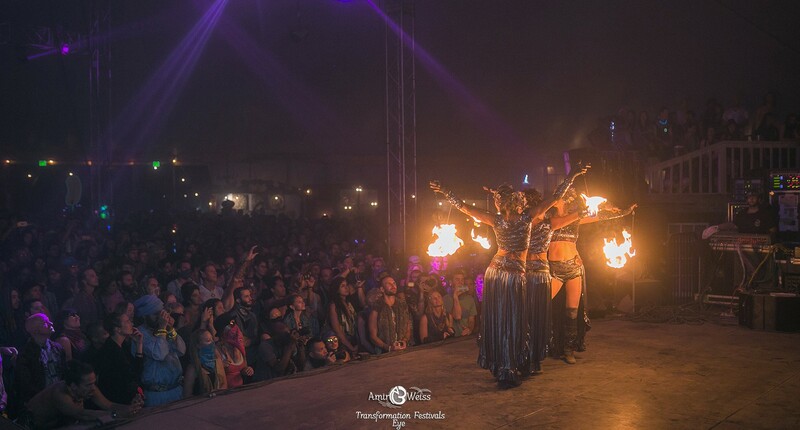 She has worked as a performer and production in the festival industry including; Harmony/ Techno-Tribal, Earthdance, Reggae on the River, Wanderlust, Gathering of the Vibes and Burning Man. She also has been involved in visionary productions such as Mystic Beat Lounge, Lightseeed and Space Island all which integrate cutting edge music, live performance, set and light design and interactive experiences. Collaborating talents, visions, creative experiences with other artisans and musicians. Angela has an extensive background in dance and is trained in a variety of styles including; jazz, modern, lyrical, Tahitian, hip-hop & dance- theater. She has performed throughout the United States with a variety of multi-faceted troupes. She has been trained in a number of Martial Arts that have inspired much of her style and have shaped her training techniques. Angela is a self-taught fire dancer/ performer, and began spinning fire in 1999. She continued to teach herself how to move and integrate her dance style with the movement of a variety of fire dancer props; single staff, double staff, single hula-hoop, double hula hoops, snakes, fans, umbrellas, fire eating and breathing. 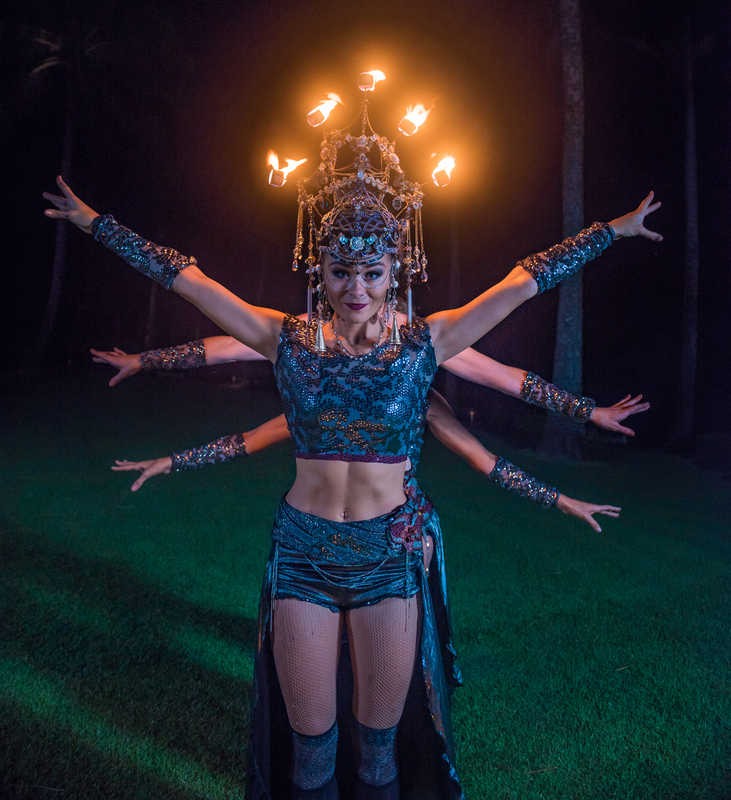 She soon began professionally fire dancing at corporate events, festivals, weddings, and private parties with larger troupes. She continues to blend her self-taught knowledge and her dance-trained background to create spectacular shows with the flair and art of a fire-dancer. Additional Experience: Troupe Formation, choreographer, dance troupe manager, production / show manager, creative director. Pre / Post Production, Audio / Visual Technical Abilities, Custom Sound track mixes, Custom Theme Shows. Roxanne Ruby is originally from Bozeman, Montana and credits her childhood memories of the Sweet Pea Festival as the inspiration that led her to becoming a performance artist and event producer. Roxanne Ruby was initiated with the flame on her homelands of Hawaii in 2012. She has carried sacred fire with her around the globe ever since. Classically trained and also a professional Tribal Belly dancer, Roxy is most devoted to weaving elegant movement and dynamic choreography into the art of fire. Skylar Mallas Born and raised New York City, Skylar Mallas developed a passion for dance & music at young age. Skylar embraced her enthusiasm for the theatrical arts and moved to Los Angeles to pursue a career in the production industry. After honing her craft, she decided to follow her heart and desire to live in the tropics. 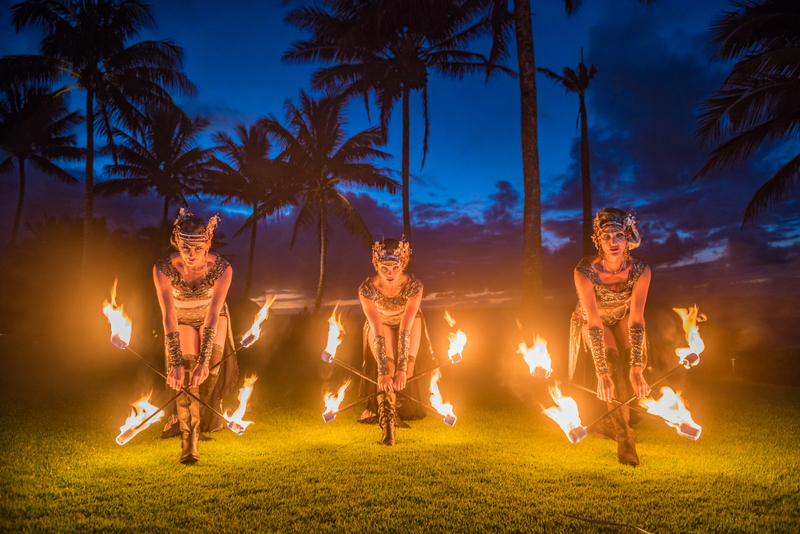 She moved to Hawaii and Co-Founded a corporate fire troupe in 2000 with the mission to share magic and beauty with the world through performance art.